Every family has their Legend and these are the best Birthday Customizable Coffee Mugs to celebrate this special day. 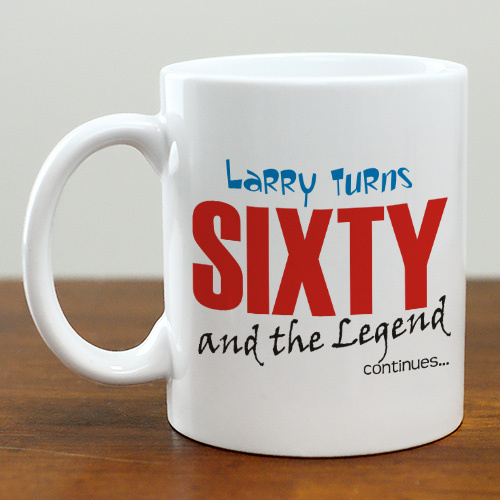 Whether it is a 25th birthday or a 73rd birthday this custom printed birthday coffee mug is sure to make them a Legend. Our Personalized Mugs are Dishwasher safe and hold 11 oz. Includes FREE Personalization! Personalize your Birthday Coffee Mug with any name and age. Mother-in-law said the gift was cool and awesome. The mug was exactly as I ordered -very happy with it!